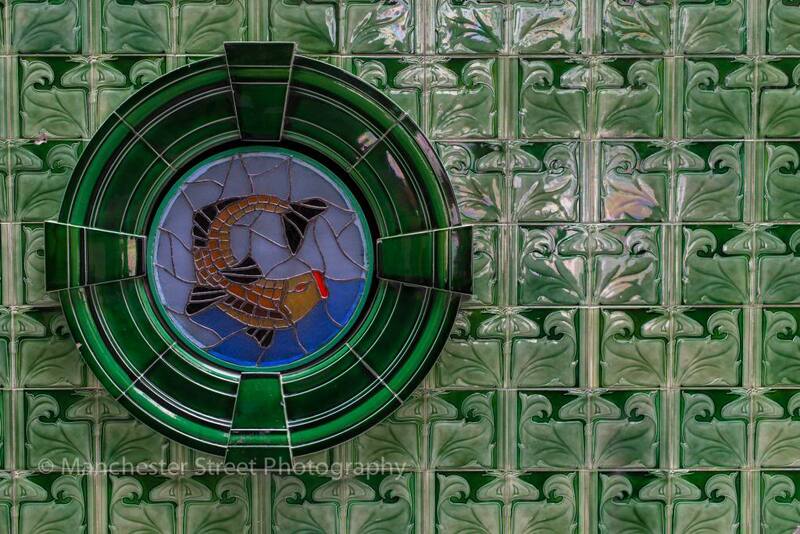 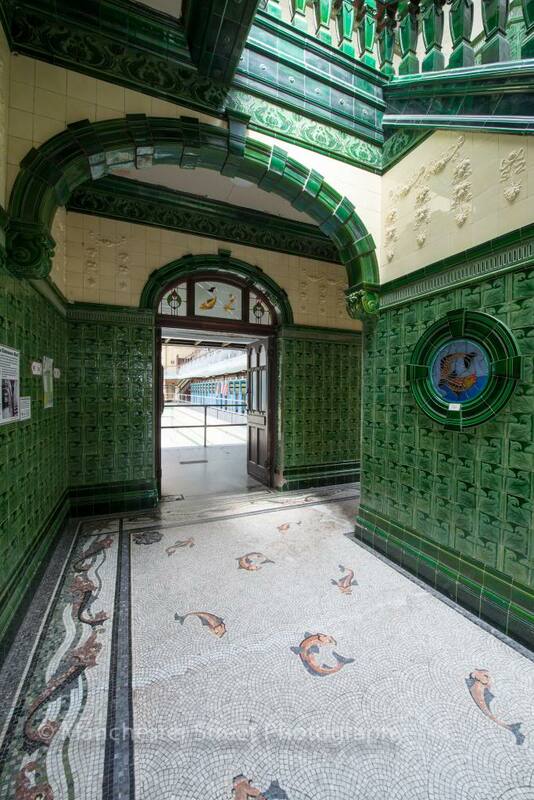 The baths were designed by the City Surveyor, T. de Courcy Meade, and his assistant, Arthur Davies. 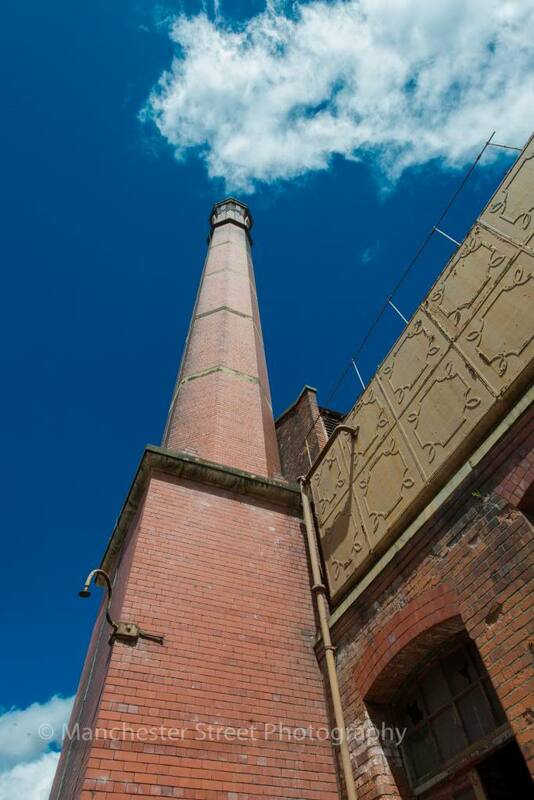 The work was supervised by Henry Price, the newly appointed city architect. 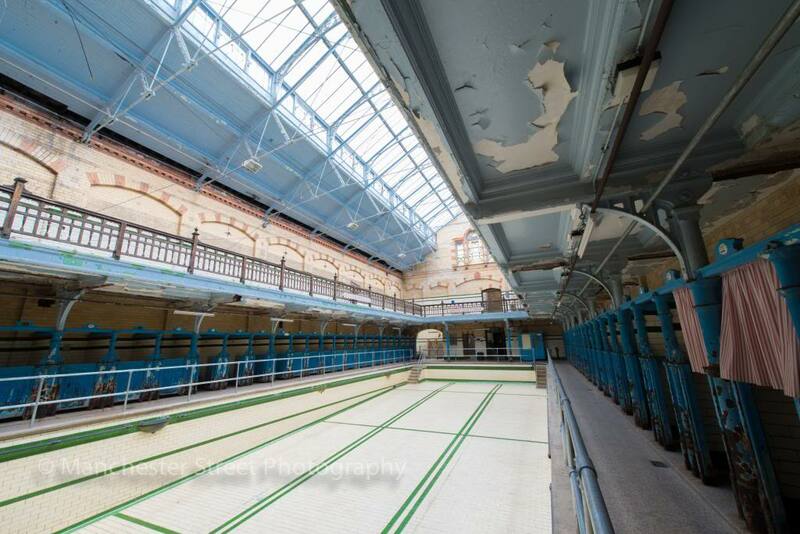 The baths were opened in September 1906 by the Lord Mayor of Manchester who described the building as a "water palace". 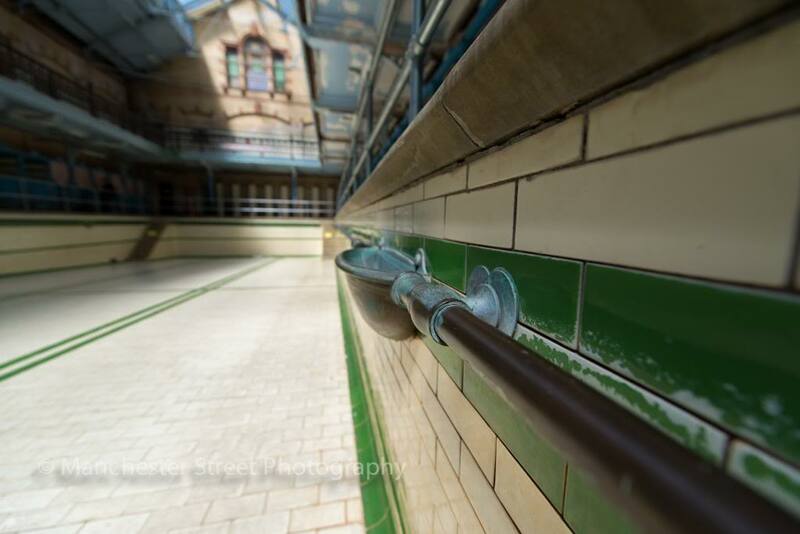 For 86 years the Baths provided both essential and leisure facilities. 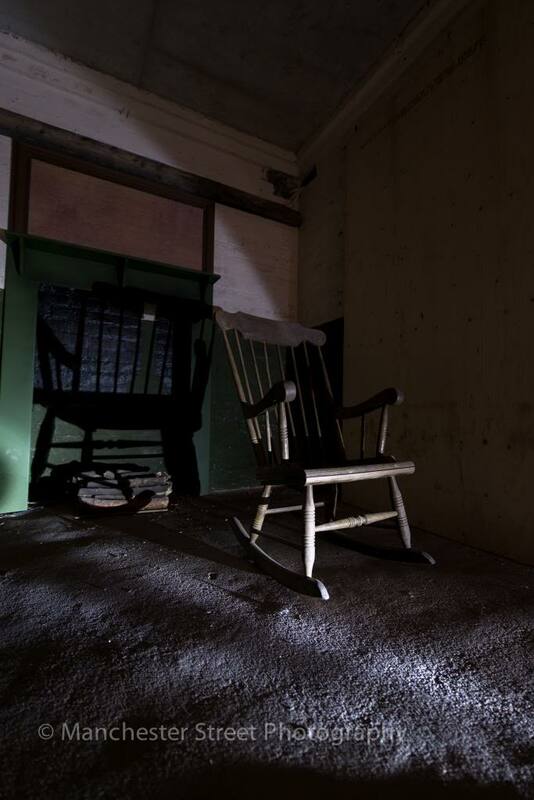 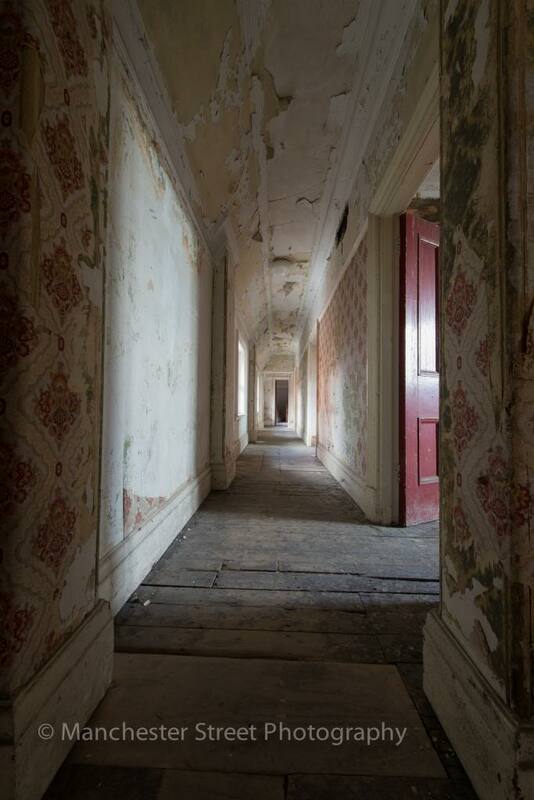 Private baths and a laundry were housed there along with three swimming pools and a Turkish bath. 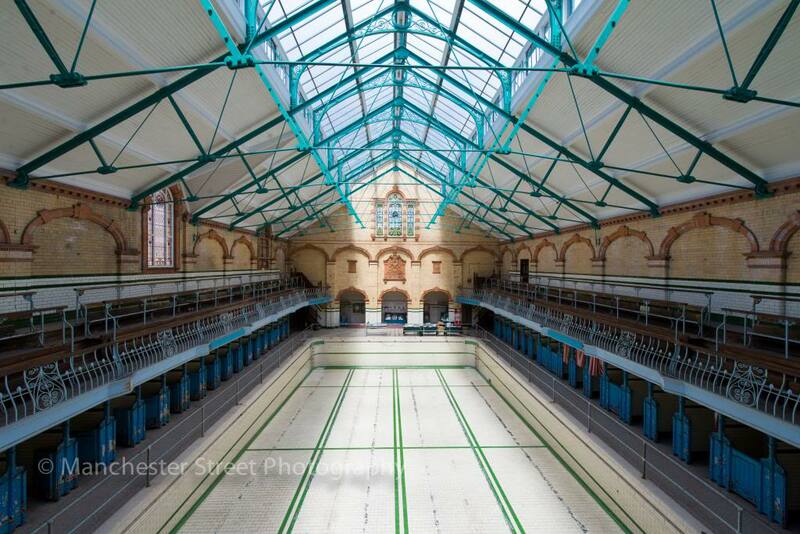 The main swimming pool was floored over in the winter months to hold dances. 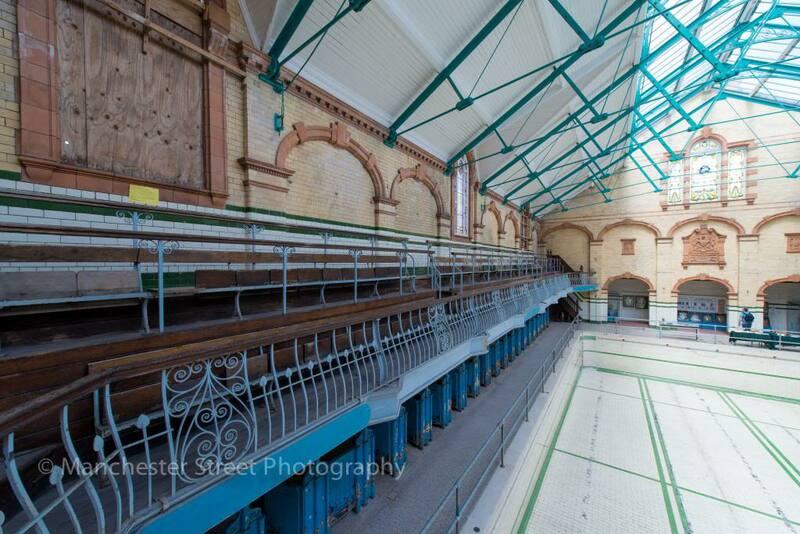 In 1952 the Victoria Baths installed the first public Aeratone (jacuzzi) in the country. 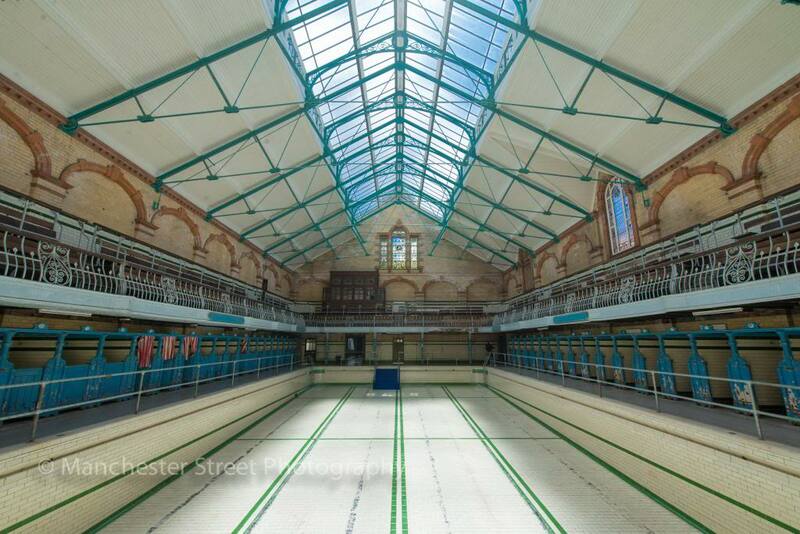 In the design and construction of the Baths, a great deal of money was expended, Manchester having at that time one of the world's wealthiest municipal coffers. 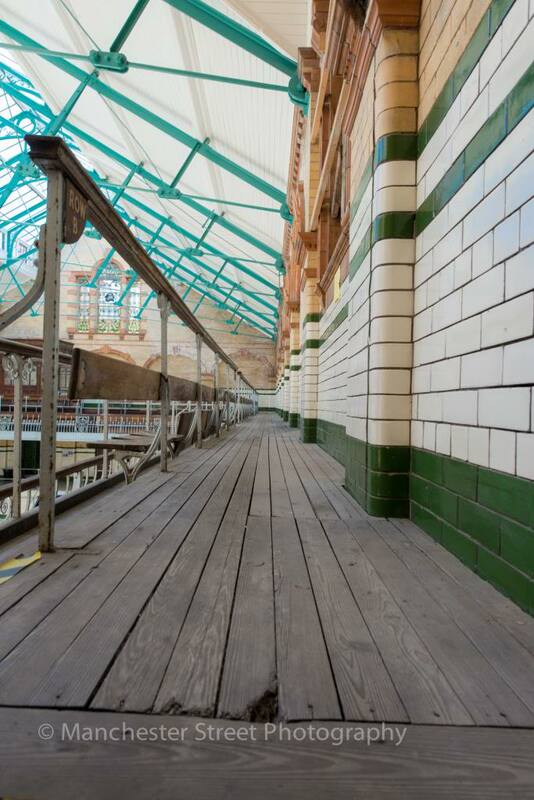 The faÃ§ade has multi-coloured brickwork and terracotta decoration, the main interior public spaces are clad in glazed tiles from floor to ceiling and most of the many windows have decorative stained glass. 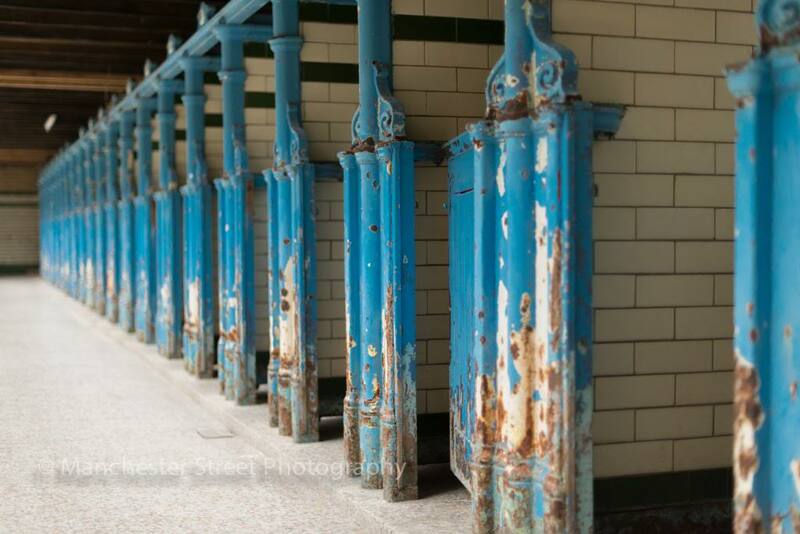 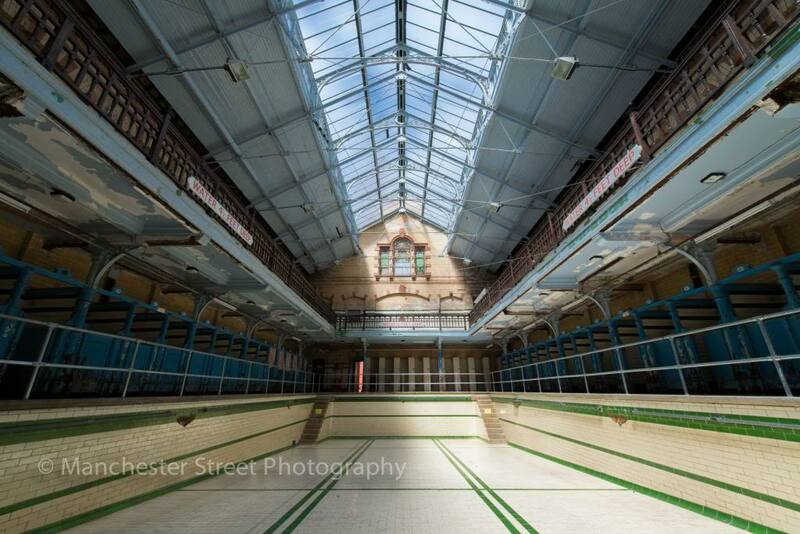 The Baths were closed by Manchester City Council in 1993. 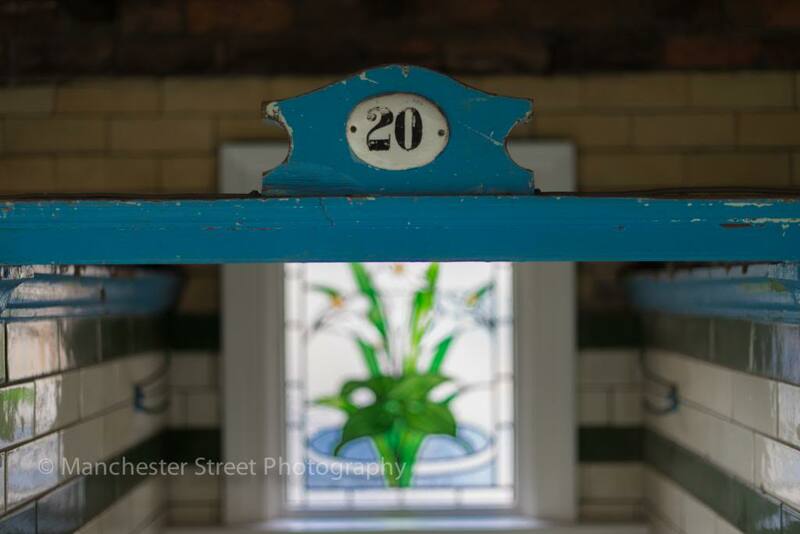 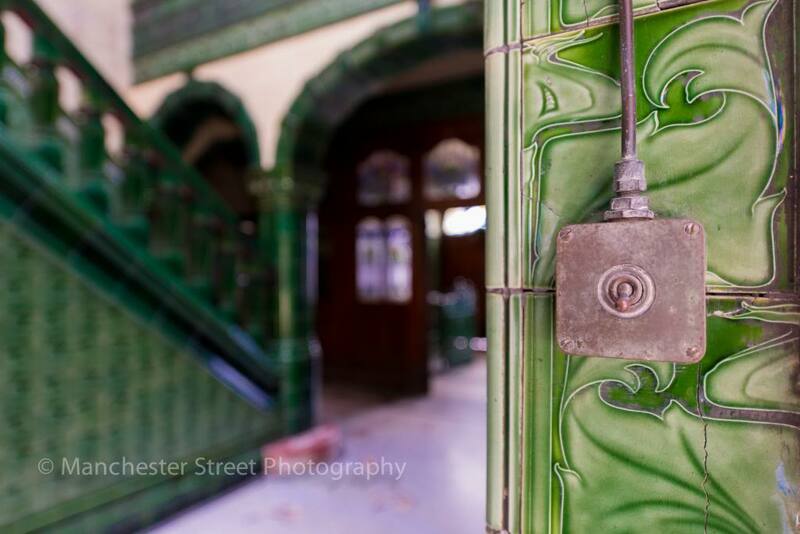 The Friends of Victoria Baths was formed and began to investigate the possibility of running the Victoria Baths independently. 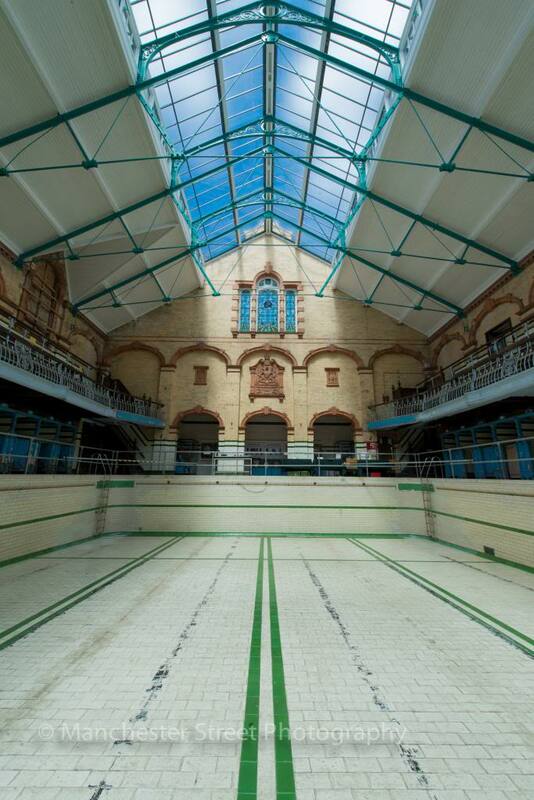 Various fund-raising attempts failed to bring about a restoration of the Baths, although work to prevent the further dereliction of the building started in 1998.